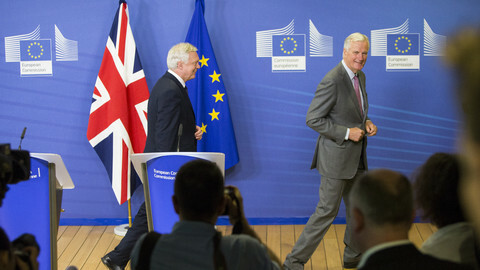 Britain's divided government will try to agree a single Brexit wishlist at Friday's (6 July) special meeting, but none of the options bode well for EU talks. British prime minister Theresa May will host all 22 cabinet members, as well as six junior ministers, and dozens of civil servants at her residence in Chequers, a 16th century mansion near London. The meeting, which starts at 9.30AM and is to last into the night, will see officials draft and redraft a UK position paper on Brexit, to be published next week, with ministers' phones to be confiscated to prevent leaks. Billed in British media as May's last chance to avoid crashing out of the EU with no deal or losing her job due to a cabinet rebellion, it follows a similar meeting, also at Chequers, preceded by similarly dire warnings, in February. "The cabinet meets ... to agree the shape of our future relationship with the European Union," May said on Thursday. "We want a deal that allows us to deliver the benefits of Brexit - taking control of our borders, laws and money and by signing ambitious new trade deals with countries like the US, Australia, and New Zealand," she added. 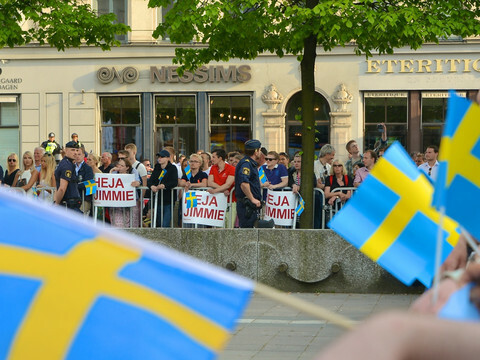 "This is about agreeing an approach … that commands the support of the public and parliament," she said. Her latest proposal was called a "facilitated customs arrangement". It would see the UK mirror EU standards for goods and agricultural products, but not services, according to leaked drafts of May's 'white paper'. It would see the UK collect EU customs revenues for products flowing into Europe via Britain, using high-tech to determine which products are to end up in which country. It would also restrict EU free movement, but give EU citizens preferential treatment, in the same way Switzerland does, to protect trade in services, in what one pundit, the ITV broadcaster's Robert Peston, called "the softest possible Brexit". That plan is to be defended in Chequers by her business secretary, Greg Clark, and finance minister, Philip Hammond. They are likely to repeat warnings, such as those issued by British car maker Jaguar this week, and by German firms BMW, Mercedes-Benz, and Lufthansa, that an EU rift would cost Britain dearly in lost investment. 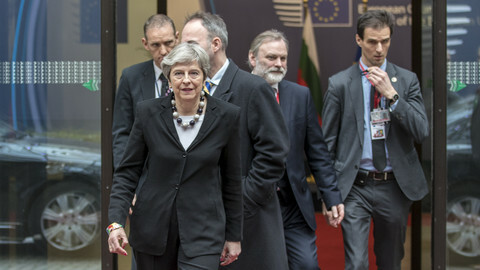 But May's plan is likely to be seen as a capitulation to Brussels by the seven Brexit hardliners in her cabinet - Boris Johnson, David Davis, Michael Gove, Liam Fox, Andrea Leadsom, Penny Mordaunt, and Esther McVey - who met at Johnson's foreign office on Thursday to work on an alternative plan. 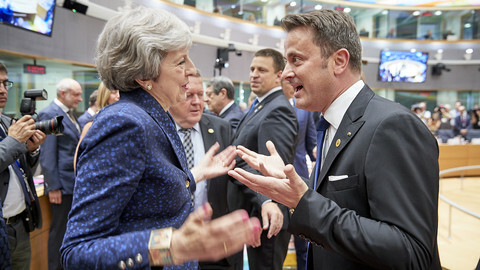 They want an EU free-trade deal modelled on the one Europe has with Canada, which removes many customs duties, but leaves plenty of restrictions in place, despite the costs that would imply for British businesses. Some of the hardliners might resign and walk out of Chequers in order to start an anti-May rebellion together with anti-EU Tory backbenchers, such as Jacob Rees-Mogg. Davis, the UK's Brexit negotiator, reportedly called May's plan "unworkable" in a letter to the PM on the eve of the Chequers talks, but he has already threatened to resign before, while ultimately staying in place. Meanwhile, the outcome of Friday's meeting will not be the end of the story. If there is a cabinet war, rolling heads, and no white paper, that would put the UK on the path to a no-deal Brexit. But the British parliament would likely overturn that down the line, effectively keeping Britain in the customs union and single market despite the Brexiteers' objections. The Brexit deal must command "the support of the public and parliament," May stressed in her pre-Chequers statement. 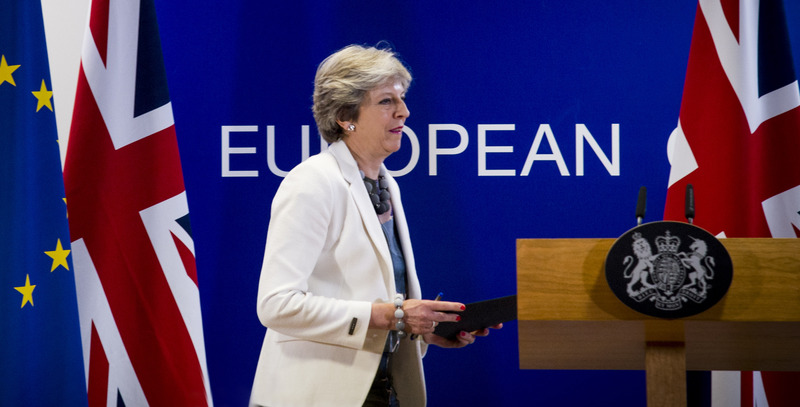 If there is a cabinet deal and May's position paper goes through with some tweaks, that is likely to be rejected by the EU. 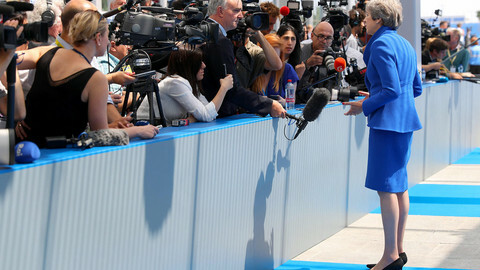 German officials were less than keen on May's draft proposals in remarks to media when May met German chancellor Angela Merkel, the EU's most powerful leader, in Berlin on Thursday. The EU previously said the UK must either stay in the European Economic Area and apply all its rules in order to keep an open border with Ireland, or carve out Northern Ireland as a special territory in the UK where EU rules were to apply after Brexit. 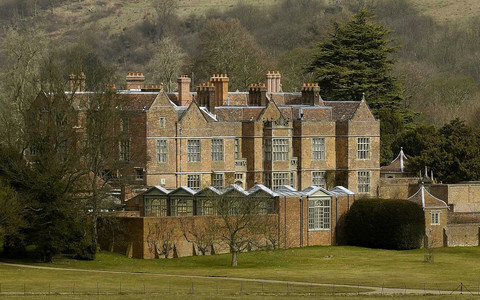 The Chequers meeting comes ahead of US leader Donald Trump's visit to the UK and the EU next week. 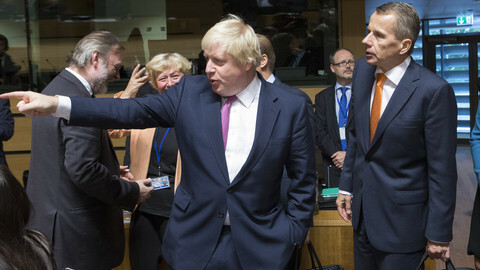 US summits used to make UK leaders look big on the world stage, due to the two sides' "special relationship". But Trump's visit is likely to make May look awkward and weak when she makes nice with him in London next Friday. One of her hopes had been to negotiate a free-trade deal with the US to compensate for Britain's EU exit. But Trump's war on free trade, as well as his increasingly erratic foreign policy on Nato and Russia, has made him into a less attractive partner. "You Brits are leaving Europe but do you really want to jump into the arms of Donald Trump's America? And more importantly, do you have a choice?" a senior EU diplomat in the UK told the Reuters news agency. 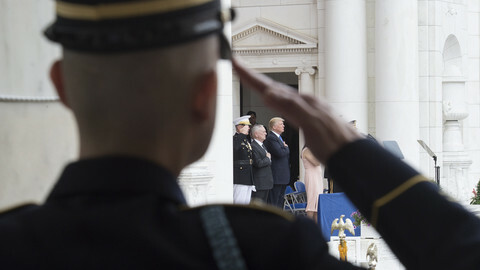 Trump is back in the EU, amid fresh doubt on Nato and Russia, while the immigration crisis and Brexit dominate internal European affairs.